Well, if I'm not feeling femme today, then I don't know who is! Ruffle skirt, ruffle socks, floral shoes...ahh cuteness! Also, are these red leaves not beautiful?! Yesterday, as I was searching for a parking spot at school, I found myself heading down a road I don't think that I've been on much, and I happened upon this scene! I love it when I'm lucky enough to happen upon something beautiful unexpectedly. What a beautiful outfit! 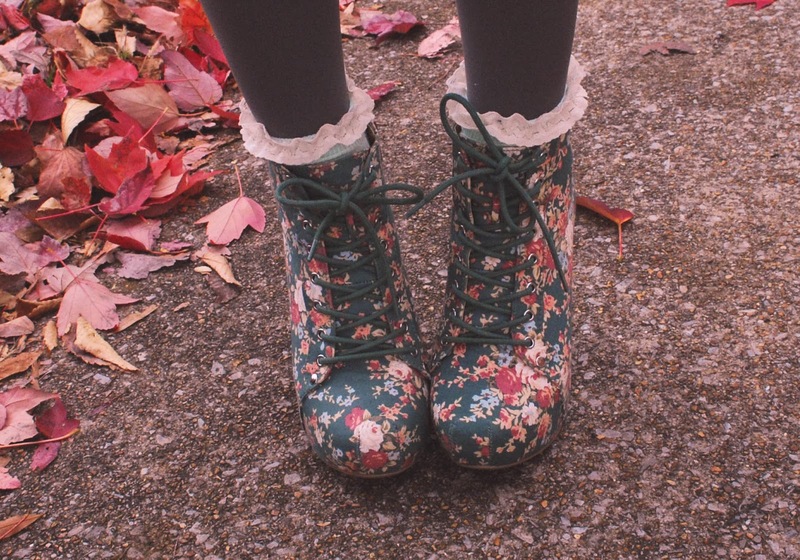 I looooooove those boots!